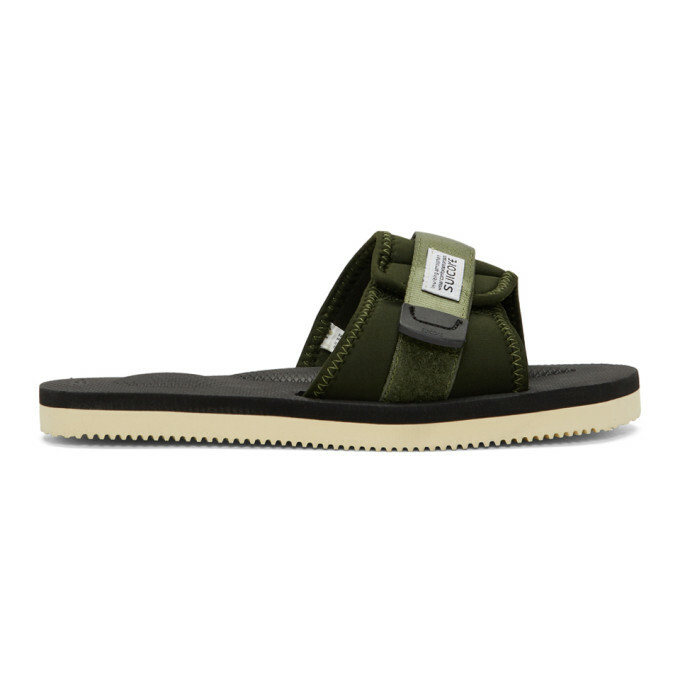 Nylon slip-on sandals in ‘olive’ green. Open round toe. Adjustable Velcro strap featuring logo patch in white at vamp. Logo embossed at black moulded rubber footbed. Treaded rubber sole in off-white. Tonal stitching.